One of the primary issues we hear about is the financial issues that come along with chronic disease. At SWFLI, we are committed to helping as many people as possible through those financial struggles with The WindMill Fund. With your donation, you can help keep alive life’s basic necessities for hundreds who are struggling: rent, overdue electric bills and every day needs that are medically associated. What is The WindMill Fund? The WindMill Fund is a program providing financial assistance to individuals living with chronic diseases. The Fund will help individuals sustain their quality of life by providing financial assistance for medically-associated needs. When necessary we monitor our clients future needs by assigning them to a Case Manager. The WindMill Fund program accepts applications monthly from the 1st through the 7th. Applications received after the 7th will not be considered for funding and applications are not held. The WindMill Fund application is available below. An application can also be requested via mail. To apply for The WindMill Fund, applicants are required to provide evidence of their chronic disease diagnosis, whether it be from their personal physician, case manager, or social worker (Simple); clients are to provide evidence of their medically-associated financial hardship (Achievable); and clients are asked to expand their horizon of knowledge, understanding, and wisdom about their chronic disease by creating a concise one-time Vision Statement. 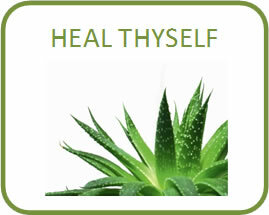 This VS consist of affirmations of how they will achieve their health wholeness (Empowering). These documents are submitted with the application. **PLEASE NOTE: We receive hundreds of applications every month and all of these are reviewed for funding. However, meeting the qualifications does not guarantee funding at any level as we can only provide aid as funds allow. We appreciate your understanding. The WindMill Fund is a monthly distribution program with distributions on a case-by-case basis per approved applicant. This program is not on a first-come, first served basis. All qualifying applications will be submitted to the committee and considered for assistance. Social Worker/Medical Personnel must fill chronic disease diagnosis confirmation. Applications must be emailed to help@secondwindforlife.org or faxed to 1-855-898-3643. If faxing application please notify The WindMill Fund staff via email. If APPROVED we will notify applicant by the 15th of the month. Checks will be made payable to the utility and/or rental company and mailed to applicant’s home address. If NOT APPROVED we will email applicant. If applicant still meets guidelines, they may reapply the following month. Applicants that have not received communication regarding their application by the 16th of the month may contact the office for a status update.